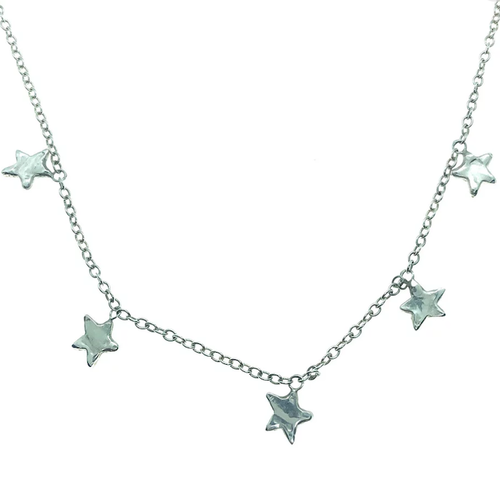 This stunning silver star cluster choker necklace has 5 small stars evenly spaced along a sterling silver chain. 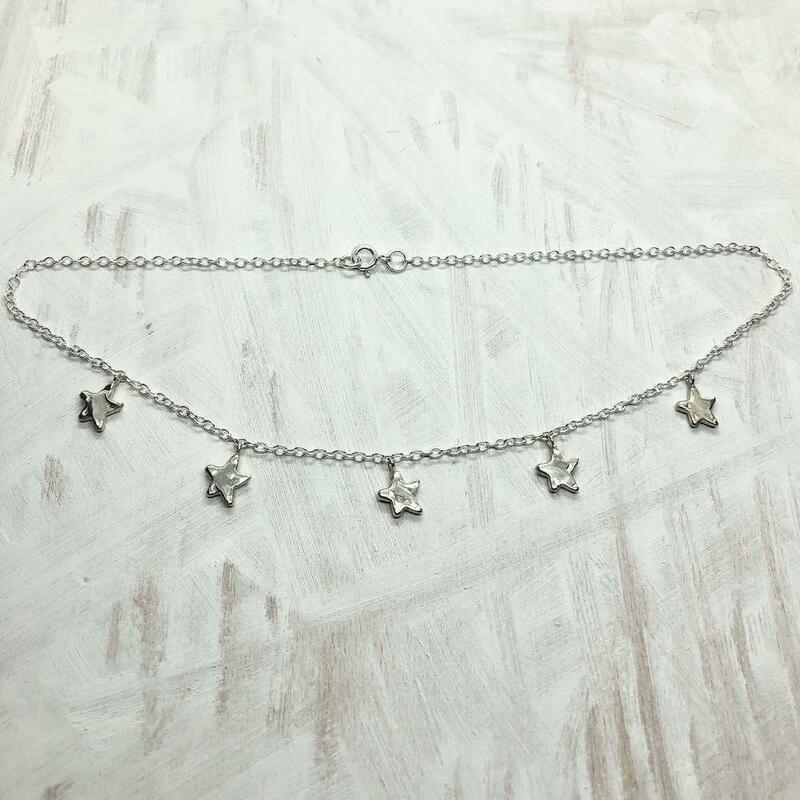 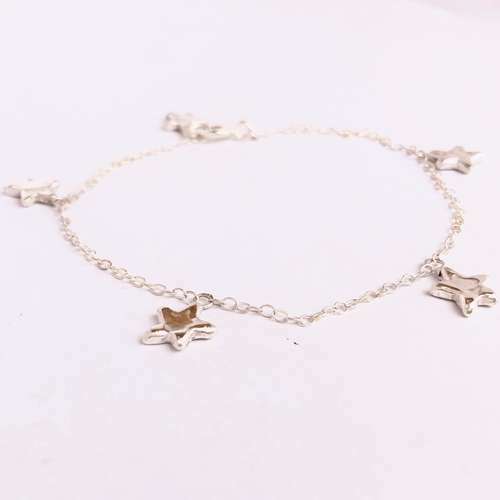 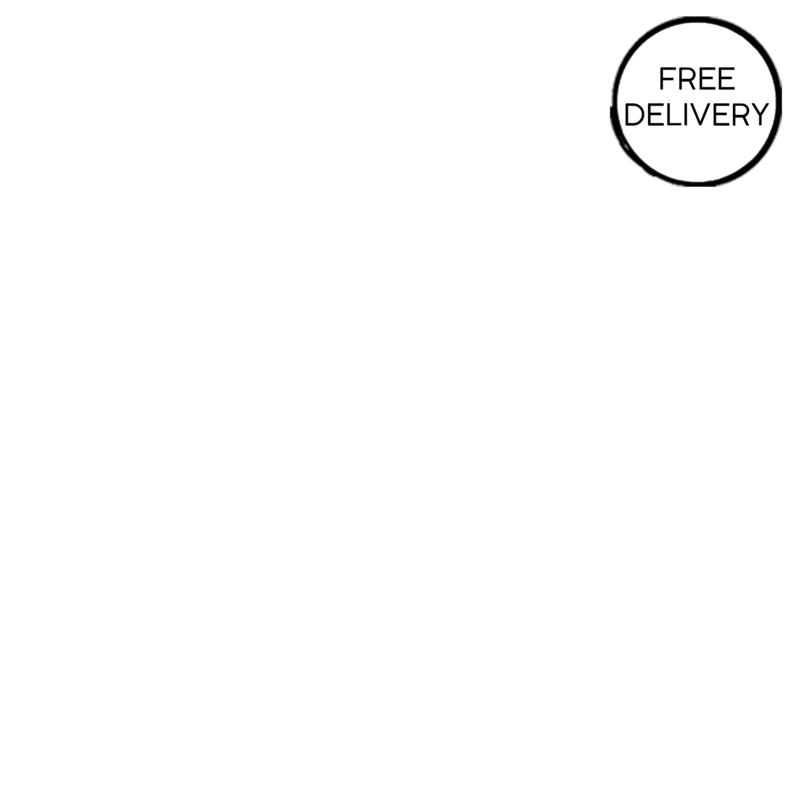 It is handmade in England and each star is made from eco-friendly silver and hand finished giving each one a slightly different surface texture catching the light in different ways. 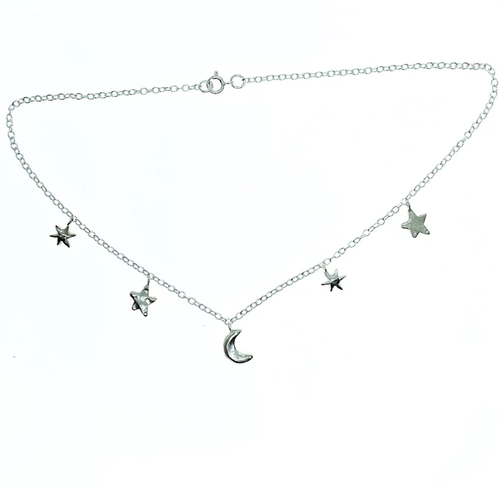 Chain sizes - S (13 inch), M (14 inch), L (15 inch). 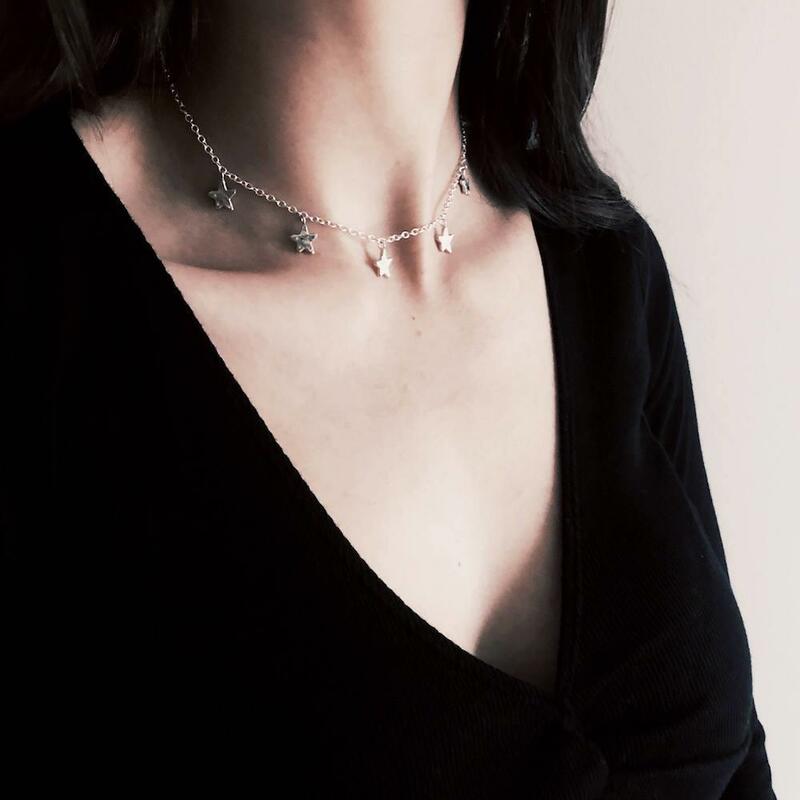 Materials - 925 Sterling Silver & Recycled Sterling Silver.